Overcome Food Crisis – Prepare to weather rising food prices and potential shortages—starting right now. This year in the U.S., corn and soybean crops were deeply affected by serious drought. Many popular processed foods are based on corn and soy. These two products and other grains are the foundation of commercial livestock feeds. Our well-being is dramatically affected by things we can’t control: weather, inflation, politics, etc. However, taking easy steps to prepare for a food shortage is in your control. Here’s how you can overcome food crisis and minimize the effect on your own family. Within weeks of the drought, a domino-effect had already begun, with meat and poultry operations downsizing and even shutting down in anticipation of unbearable feed price hikes. According to a United States Department of Agriculture (USDA) report, “Animal-based perishable foods will be hardest hit. The USDA projects that poultry products will rise 3 to 4 percent next year, compared to this year’s average. The biggest rises are seen in beef and veal, rising 4 to 5 percent from 2012 average. Availability and prices of many grain products, vegetables, and fruits will also be affected. The ultimate results of the strain on supply and distribution channels remains to be seen. If you’ve been postponing starting or stepping up your own food production or storage, now is a good time to move it to the top of your “to-do” list. Grow some vegetables, herbs, and fruit. Anyone can grow something to eat. Even if your garden soil is poor, you can grow some food. And if you don’t know how, you can learn! You don’t even have to wait till next spring to plant a garden or planter. No matter where you live—cold or warm climate, urban or rural setting, huge farm or small apartment—you can probably grow something green during the fall and winter. If you’re new to gardening, ask a neighbor or your local extension office what can be grown in your area. Here in our four-season climate, we have been planting salad greens, root crops, and herbs for harvest throughout the fall and winter. For successful winter harvests, plants should be mature by the time of the first frosts. You can mulch root crops in place in the garden; other crops should be grown in hoop houses or cold frames for frost protection. You may consider looking into getting a small greenhouse. In a warm-winter area, you can grow many different veggies. Where winters are cold, you can probably at least still plant mâche/corn salad and claytonia/miners’ lettuce. In most climates, garlic is best planted in the fall to get established over the winter. Buy seed garlic for your first planting; in subsequent years you can plant your own garlic cloves. Autumn is also a good time to plant fruit trees and berry bushes, till and amend next year’s garden plot, build raised beds for spring planting, or set up a seed starting system for winter use. Request seed catalogs for winter browsing and seed orders so you’ll be ready for spring planting. Our favorites are Seeds of Change, Seed Savers Exchange, and Baker Creek Seeds. Learn all you can about gardening in general. Chat with your local extension or agricultural agents, talk to friends and neighbors with admirable gardens, visit local nurseries that remain open in winter, scour the library and Internet. Find out what’s in your soil and what’s lacking. Get a sampling of soil tested at a local lab or a mail-in lab like U of Massachusetts Soils Lab. Figure out what you’ll need in the way of growing beds, soil amendments, and irrigation. Be ready to buy supplies in late winter or early spring. Try growing some veggies indoors in a hydroponic system! You can also build a DIY Hydroponic System with PVC. A hydroponics system enables you to save on space. From chickens and rabbits to beef and bison, there’s probably a source of meat or eggs that you can raise in your own backyard or small farm. We’ve even seen people raising rabbits in garages and basements in humane ways. There’s still time to build a small winter-friendly chicken coop or rabbit hutch and bring home some laying hens or rabbits before deep winter sets in. Check out your local farm guide or Craigslist for meat rabbits or pullets (young hens) ready to lay. There are many ways for beginners to learn about backyard chickens. You can also start baby pullet chicks now and expect eggs about five months later. While most local feed stores do not have chicks available in fall, most mail order hatcheries ship chicks year-round or close to it. Most do require minimum orders of 25 chicks, so you might want to share an order with a friend. For ultimate sustainability, keep a rooster with your hens so you can hatch replacement chicks in an incubator or under a broody hen. While usually raised outdoors during the summer, meat chickens can be grown out any time of year in a winter-safe coop. The chicks are usually available only from hatcheries at this time of year, as few individuals sell meat-breed chicks on a local level. However, locally you may find dual-purpose breed chicks, some of which grow out reasonably meaty. Another possibility is cull laying hens and roosters, which make awesome stewing birds that yield cooked meat and rich chicken stock. Raw chicken can be frozen or canned in a pressure canner. Or you can get everything set up and ready to start a chicken flock in the spring. Chickens are fairly low maintenance, with few stringent requirements. Chickens must have fresh water, nutritious feed, and sources of grit. Calcium is essential for laying hens. While mature chickens don’t require heated coops in winter, shelter from wet and windy weather is important. We have not yet raised rabbits ourselves but most people agree they are as low-maintenance as–or even more so than–a brood of chickens. Rabbits mature quickly, multiply easily (just as the jokes imply), and have a great feed to weight conversion rate. Rabbit meat tastes similar to chicken and can be used in recipes designed for poultry. We have seen some good rabbit raising info at Backyard Herds Rabbit Forum, Rudolph’s Rabbit Ranch, and Whisper’s Rabbitry. Raise cattle and other livestock. Depending on your climate and the size of your land, consider miniature cattle breeds for an ongoing milk supply and eventual meat supply. Discover local sources of food products. There are many reasons to buy local foods. Just-harvested locally grown foods are fresher than anything shipped in from elsewhere. When we shop locally our food dollars will stay in the local economy. And some products even have effective health benefits. Eating honey from bees that gather local pollens can help eradicate people’s allergies to the plants themselves. Maybe you want to consider beekeeping for yourself. There’s not much you need to get started beekeeping, and it doesn’t take up a lot of space. Now we have to consider that local foods also may be the only foods readily available or affordable if our food supply chain is affected by transportation issues or high costs. Many regions have local farmers markets where you can get to know your local food providers. Some areas have helpful farm guides listing places to buy various fresh products. Your local extension office or agricultural agency should be able to give you info. Another good resource for the U.S. is the directory at Local Harvest. Start or add to a food storage program. Even if you are planning to raise a lot of your own food, it’s wise to have a stockpile in case a drought or other situation limits your food production. 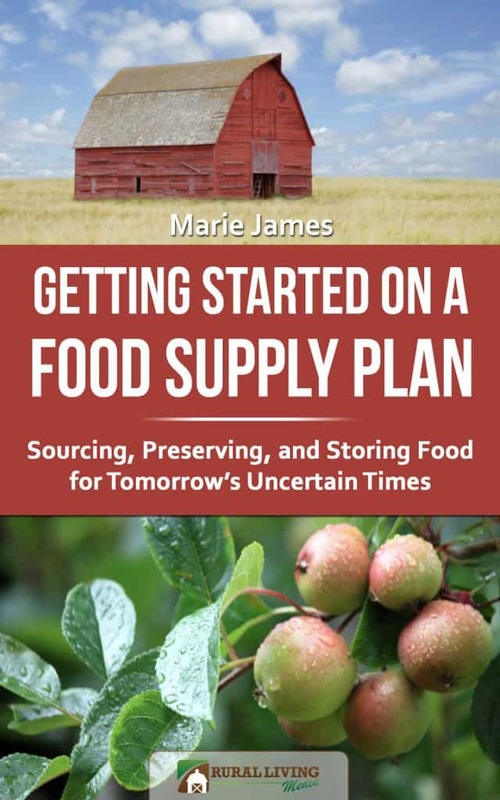 It is essential to start building a food storage program. Also include products that you can’t grow or make at home. Store foods you know your family will enjoy eating; remember seasonings for bland foods like rice and beans. A storage program can include home canned and dehydrated foods as well as purchased groceries, including nut butters and other high protein foods like canned meats. Warehouse and restaurant supply stores often have great deals on large bags of grains, dry beans, sugar, salt, and other basics. You can buy multiple small packages and flats of canned goods when you find good deals at the local grocery store. Eat them, the oldest first, and continue to replenish your supply. Store your foods at cool temps, but above freezing. Liquids can freeze during winter, causing cans and jars to explode. While a garage may be fine for storage in a mild climate, an indoor closet or storage room may be necessary for winter storage. Learn about storing fresh food. While you’re at it, remember to store water. We were glad to have gallons of our stored water when our well pump broke and when some pipes froze. For drinking and cooking, treatment with water purification tablets or bleach is recommended. Water for household use like flushing toilets and washing dishes need not be treated. Store your food in a few different places, if you are able. You may want to have some in the garage, some in your pantry or in a cabinet, and more food stores in a small off-site storage unit. In the event of a food crisis or catastrophe, you will be better prepared. Preserve some fresh food to enjoy later. You can stretch out your enjoyment of homegrown or locally grown fruits, vegetables, herbs, and meats throughout the year. Make the most of your own garden harvest, but look into other sources of fruits, vegetables, and herbs to preserve. 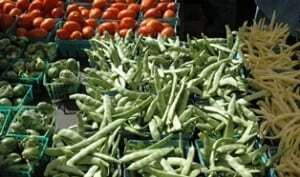 Visit farmers’ markets, local orchards, and farm stands to buy produce by the bag or box. If you don’t have preserving equipment and know-how, get some now! Learn how to can, freeze, and dehydrate. It is essential to understand food safety guidelines, avoiding botulism and other potential food poisoning by proper preservation. The major food safety rule is to use a pressure canner for all meats and almost all vegetables. A pressure canner is different from both a pressure cooker and a water bath canner. When we have questions about food preservation, we rely heavily on university and scientific research info including county extension publications. An excellent guide is the National Center for Home Food Preservation. Start acquiring canning and freezing supplies and containers. In the late summer and fall, you might find them on sale in retail stores. Look for them year-round at thrift shops and yard sales. Just beware of cracked or chipped jars, and have any used pressure canners checked by a food safety agent. Many local extension and ag agents can do this, often for free. They only need to test the pressure canner lid. For canning of low acid foods (anything containing meats or most vegetables and herbs): pressure canner (not a pressure cooker, which works differently) with accurate pressure gauge. It’s wise to have a dial gauge checked annually for accuracy. Most county extension offices offer this service for free, especially during summer and fall peak canning times. You only need to test the lid; leave the heavy pot at home. Buy a supply of freezer meat. Every fall and winter, local livestock farmers have meat to sell. This year, due to expected high feed costs, many are culling their herds even more than usual. While a large quantity of freezer meat is a substantial financial investment, the cost per pound for many cuts is much lower than grocery store prices. Depending on your geographic area, you may find beef, pork, lamb, and goat meat available. Many farmers can sell meat by the whole or half carcass. Some local regulations allow for sales of quarter carcasses. If you’re not up for such a large amount of meat, consider splitting an order with another family. Learn about grassfed vs. grain fed to determine which is better for your family. A fairly simple way to grow nutritious greens is to sprout legumes, grains, and vegetable seeds right in your kitchen. They don’t require a lot of equipment, space, or time. You can purchase sprouters or make them from canning jars or strainers. You can purchase sprouting seeds online or at local health food stores. Unless they’ve been treated, food-grade legumes and grains from any source can usually be sprouted. Add sprouts to salads, sandwiches, omelets, breads, and many other dishes and recipes. While sprouts are a delicious addition to human diets, they’re also wonderful for livestock. Sprout a small batch as a treat for your chickens. You can grow large mats for larger livestock. Most areas left to native growth contain a number of plants with edible parts. A stroll around our own farmstead reveals an assortment of wild edibles including lamb’s quarters, purslane, dandelion, Oregon grape, elderberry, and wild rose hips. 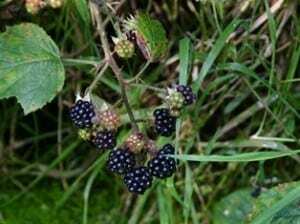 Once you are familiar with your own native plants and aware of which ones are toxic, you may find numerous types of salad greens and berries. The practice of bartering, common in days gone by, is coming back into vogue. The idea is that people trade goods or services of equal value, with no money involved. Whether it’s knowledge, skills, or tangible products, everyone has something that someone else can use. Think about what you have to offer: skills, expertise, products, time. Put a value on it—either monetary or number of hours. Then consider what you need, find a good match, and make a trade. Some areas have bartering groups, but it’s usually fairly easy to make a bartering arrangement. When you want or need something, ask potential providers—friends, neighbors, farms, even other small businesses–if they’d be willing to make a trade. You might swap fresh eggs for fresh veggies, firewood for boxes of apples, sewing lessons for cast iron cookware. Don’t know how to grow a garden, raise chickens, grind wheat, bake bread, make homemade soup? There’s no reason you can’t learn it now! There’s tons of info on the Internet and in books and magazines. Your local library may have what you need, or might even order a new book you request. Used bookstores, thrift shops, and yard sales are all good places to find books for your own library. We read Extension publications as well as articles and blogs at GRIT and Mother Earth News. Storey Publishing produces some great books about gardening, livestock, food preservation, and other homesteading topics. Lots of bloggers post ideas and tutorials with great ideas. Some of our favorite blogs are listed on our Resources page. Before we discuss the resources we recommend, we want to explain briefly how food shortages and high prices affect us all. 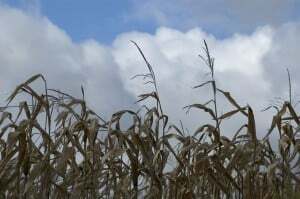 One newsworthy event was a drought in North America that affected the growth of some of the continent’s basic food crops. This had a twofold effect on consumers. First, there will be less soy, corn, and wheat available for human consumption. Yes, that means a smaller supply of grains, flour, and other ingredients for home cooking. More North Americans will be affected by a different ramification: the strain on production of processed foods like breads, cereals, prepared dishes, and snack foods. A secondary effect is the shortage of grains for livestock feed. This will have a domino effect on supplies of commercially-produced meat, eggs, and dairy products. But high feed prices and shortages will also hit small producers and farm families raising their own livestock. The majority of them rely on commercial livestock feeds. Farms of all sizes–commercial and local small producers–have already been selling off stock early to avoid feeding extra animals all winter. That means less finished meat next year. Shortages lead to lower supplies for each community and price hikes for the products that are available. If we rely on more imports to fill the gaps, those products may be even more costly. We’ve seen gas prices fluctuate at our neighborhood gas pumps. It can cost a small fortune to fill a large gas tank in a family vehicle. Regardless of what type of fuel we feed the cars, pickup trucks, and SUVs we drive, we’re paying for higher diesel prices as well. Our food chain relies on international and cross-country transportation via diesel-fueled trucks. Shipping costs more, and consumer goods absorb the costs in higher prices. Trucks need diesel, which is also around $6/gallon in many parts of California. As the cost of diesel ramps up, that expense gets passed on to customers buying the things that those trucks are transporting. You can see where that will take prices for just about everything, since just about everything gets where it’s going on an eighteen wheeler. About 30% of shipping containers that come to the United States come through California. Heavy equipment maneuvers the shipping containers. Those containers leave ports on trucks and trains. Trucks and trains run on gas and diesel. Guess where the extra cost for that goes? Oh yeah, to the rest of us, through the supply chain that feeds our consumption. It’s scary out there, folks! Most of us who have lived several decades have never seen anything like this. Even many who have endured their nation’s major financial crises haven’t experienced such economic turmoil. There’s no telling what will happen in the coming years. It is possible to soften the blow on our own families and communities. If you’re reading this post, you’re probably already on a path toward smoothing the way and rounding off some of the bumps in the road. We’re not talking about public assistance or financial aid. We’re talking about learning to provide more for ourselves and rely less on international and national sources. Here are some resources that provide info on self-sufficiency and sustainable living– the ability to provide food from year to year. There are many ways to overcome food crisis. It all takes prepping and planning, but there are sure to be some ideas that would work well for you and your family. Depending on where you live and your land and storage opportunities, you can choose what makes the most sense. Starting small will be key to continuing to grow your resources and supply. This way, it won’t take away from essentials if you are on a limited food budget. You will also want to keep stocking so that you can rotate through your food and not have any perish. It may seem overwhelming at first, but start with what you know. Then expand and grow your skills from there, and soon you’ll be ready for whatever the future brings. Thanks for the mention. Good post! We’re doing our best to get a garden going. We’ve moved to the country. Hoping to get chickens, maybe guineas, a pig or two, a cow. A local farm does fall farmer’s market and I’ve been able to buy eggs there in the meantime. Great tips. I just bartered for something yesterday, and I do believe that everyone was very happy with the final outcome! Great Post! I’d love it if you’d share it with us. It’s so important that we are all working on developing the skills needed to preserve food. Count me in as a regular reader :-). This Grammy couldn’t agree more, Granny! In our lifetime we’ve seen a turn from homemade/homegrown toward storebought products, but it’s wonderful to see a trend going back in the direction of generations before us. Artmuse–love your creative photography! Thanks for joining us! That’s awesome–I just heard someone else say how fun it is to barter. We think it’s going to be a big “currency” in the coming years. You’re on a great path, Deborah. A little each year–that’s how we’re populating our homestead and learning new skills too. Congrats on your move! You have good solid plans and a heart to learn how to do more for yourselves. A garden is a great place to start. We linked up to your blog fest–thanks for the invite! Laurie, we always enjoy your blog posts and have learned a lot from them. It certainly has been a challenging year and it’s looking to get a bit more challenging. Thanks for the great information. These are great self-sufficiency tips! I’d love it if you linked up your post at my new sustainable living link-up, Small Footprint Fridays! We do too, CD! We are even talking about it just within our extended family and close friends. One raises eggs, another has honey bees, another hunts game, and the list could go on and on. Thanks, Dawn–It’s awesome to hear about your new link-up on sustainable living! We’ll be happy to post our link there. Great article — gave me an excuse to get on my soapbox for a few moments about how these are all good things to do ALL the time — don’t wait for a crisis to come. Good for you, good for building community. Its a good article about an important topic. However, I’d like to point out that one solution is missing: go WFPB – Whole Food Plant Based. I’ll list reasons why you might want to do this besides cost. -About 90% of the food sold in supermarkets is toxic to your health, though I’ve not done a precise survey. This has resulted in an epidemic of obesity, cardio, cancer – all connected to nutrition directly. -Eating beans is easier and lower cost than meat. -Avoiding sugar wiull help with arthritis and other inflammatory diseases. Yes, the food supply and nutritional habits are poisoning us. You must treat the toxic food like an alcoholic treats alcohol. Your body will thank you.